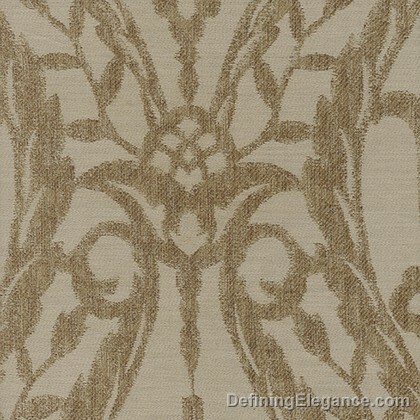 Purists Doria Jacquard Bedding - Swatches may be available. 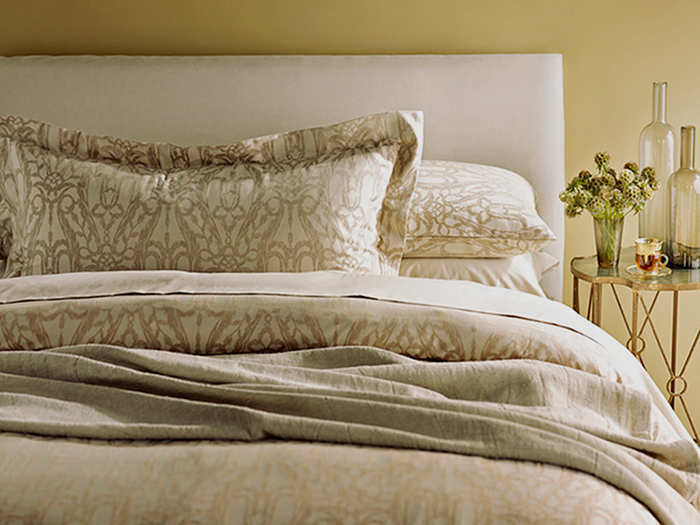 This 100% organic cotton three-color yarn dyed jacquard luxury bedding achieves its ravishing appearance with vegetable dyed fibers. 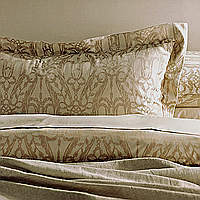 The continuous pattern of "The Purists Doria" bedding will add pizzazz to any bedroom.